A couple of weeks ago Mollie Makes got in touch and asked if I would be up for a little challenge. 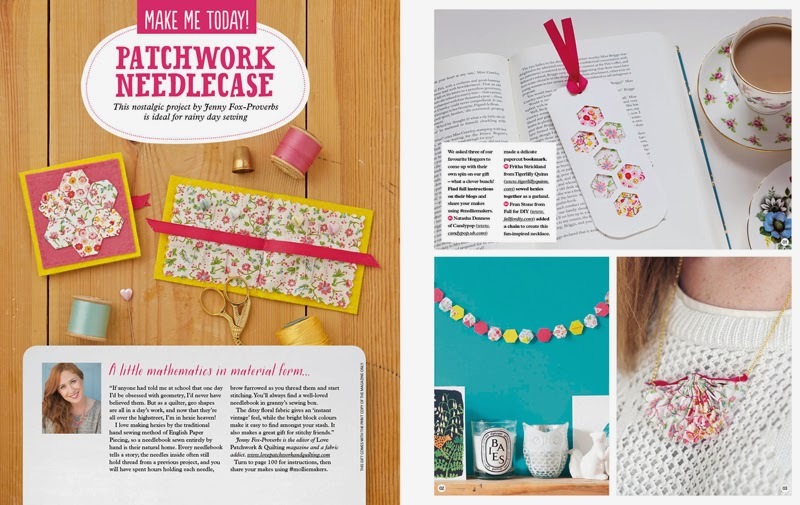 Given the materials that come with issue 49 they asked if I could come up with an alternative DIY using the materials provided. 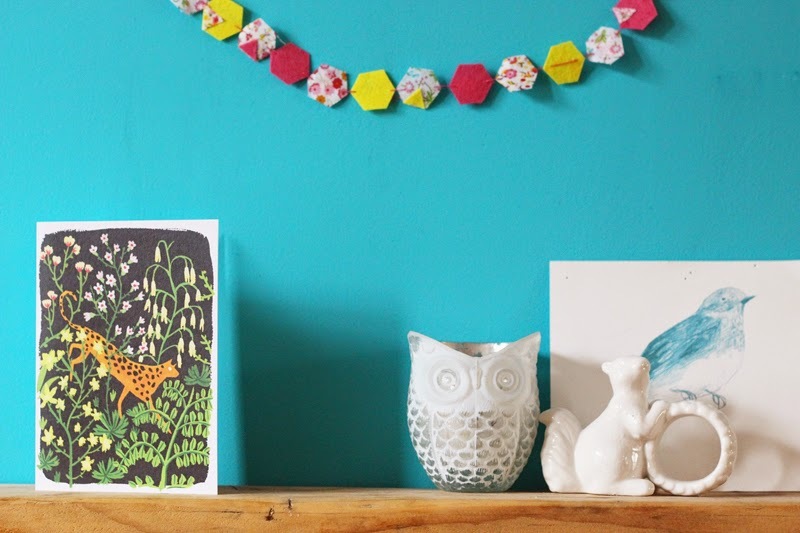 I'm always looking for simple ideas on refreshing our living space and when I saw the hexagonal shapes I knew that I wanted to create a garland to place above our mantelpiece. 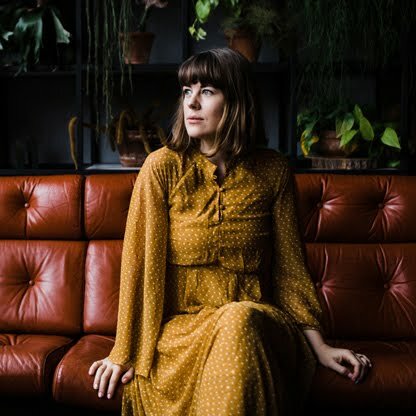 What I loved about this challenge is that the materials could easily be off cuts you have lying around the space and so with a little thread and a few scarps of fabric you can create something easy and pretty within half an hour. First of all I used the hexagonal shapes to draw round onto the fabric pieces. I noticed that by cutting the shapes I was left with tiny little triangles of fabric which I thought could look interesting sewn on top of the pieces. I made a simple stitch between each shape to create a garland, once your pieces are cut this honestly takes about five minutes. I love crafts that create quick and simple results! I stuck some of the triangles on top of the garland pieces to add something extra to the geometric theme and then I was done! I love the contrast between the pinks and yellows against the colour of my living room wall. Wilf also liked the idea of using it as bunting in his dolls house which I thought was a pretty sweet idea. 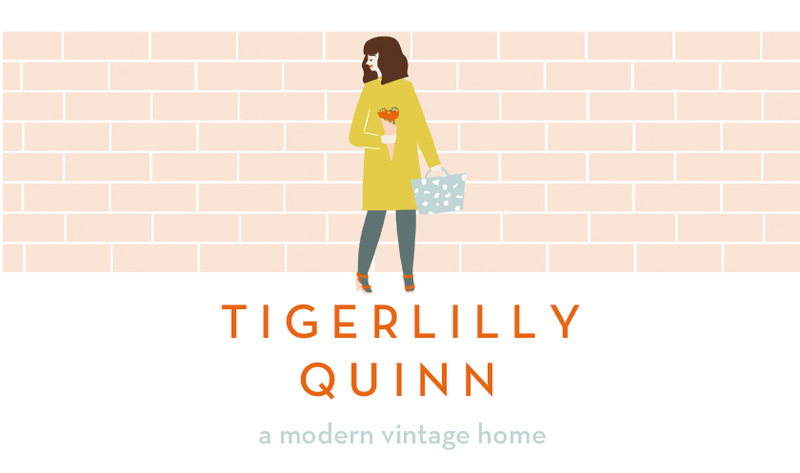 Mollie Makes are giving Tigerlilly Quinn readers a free downloadable copy of issue 49 by using code TIGER2015. 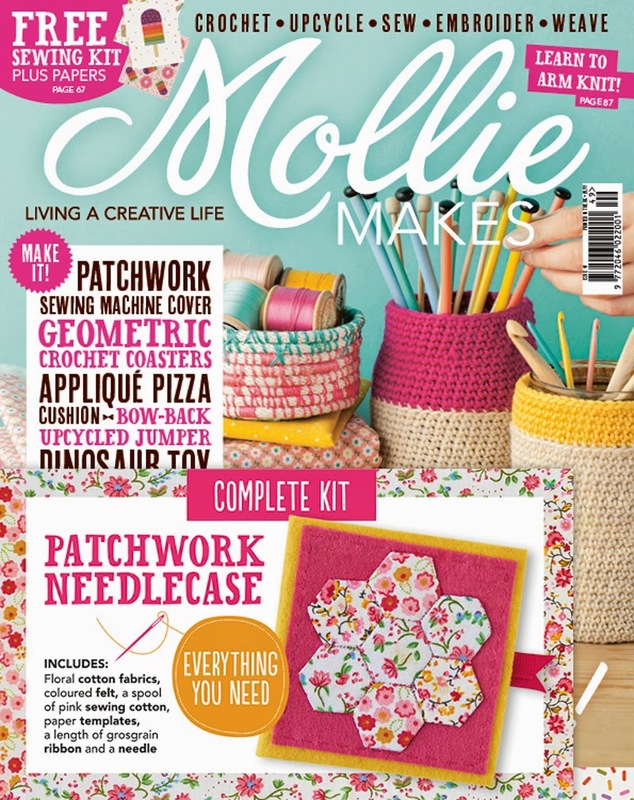 All you need to do is download the Mollie Makes app here and enter the code, the offer is valid from today until the 19th of this month. The magazine isn't actually in the shop's until the 9th so you are getting a first look! As well as myself there are two other lovely bloggers working on this project, Francesca from Fall for DIY and Natasha from Candy Pop. 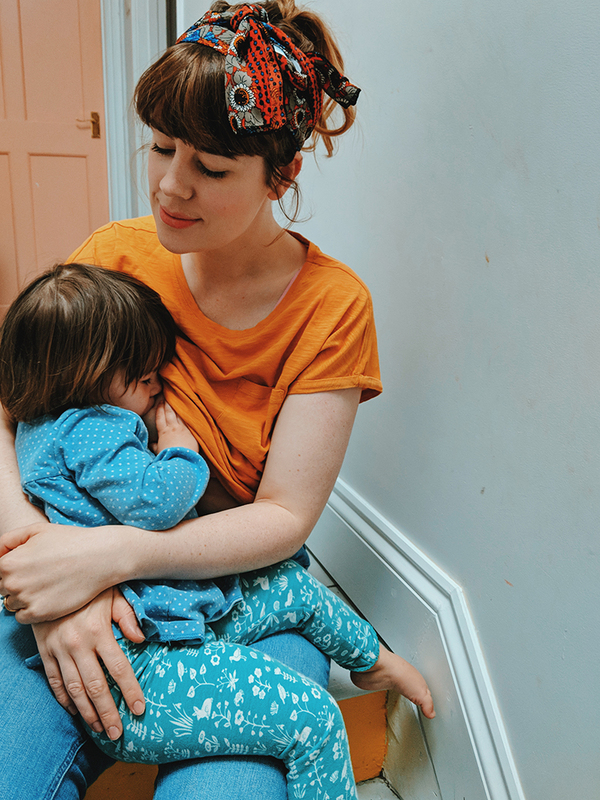 You can see a little peek of their DIY's in the spread above and if you want to find out how to make them head over to their blogs today to find out! oh i love the floral fabric. this is so cute! I love it, it looks really pretty! This is fantastic wow how cool this is and looks amazing. I love this - simple but effective! Looks stunning. So pretty, and love the colours against the turquoise wall! My daughter would love this garland for her bedroom. 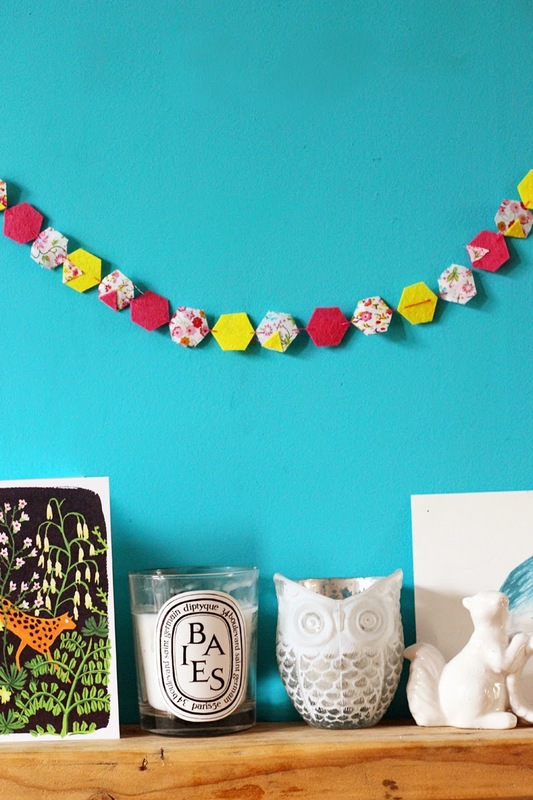 I love arts and crafts nad these garlands are so cute.Also easy enough to do with a young child. I am not arty or crafty in the slightest I have to admit, I have very little patience for things like this, even sewing on a button can have me raging! Yay! I may be a little biased but this is quite simply Mollie-tastic, love it.